The Zurich Chess Challenge 2014 is the strongest chess tournament ever held in history. A special opening ceremony included a blitz chess tournament to decide the pairings for the main tournament. World chess Champion Magnus Carlsen won the five-round event despite a first-round loss to Fabiano Caruana. Both Magnus Carlsen	and Levon Aronian scored three points, but Carlsen was better on tiebreak score. Nakamura, Caruana, and Anand scored 2.5 and Boris Gelfand scored 1.5. Here are all the exciting games. 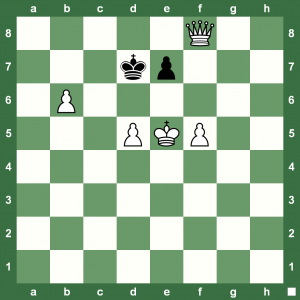 Here’s an easy chess puzzle where white checkmates in two. Give it a try to take away the mid-week stress. 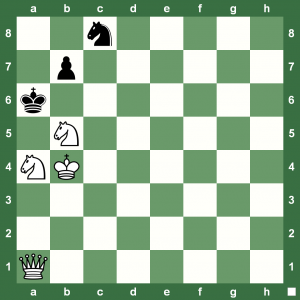 Time for a refreshing chess puzzle. Question’s easy, answer’s not! White to play and checkmate in two? How fast can you pull this off? 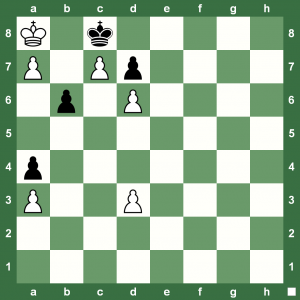 This chess puzzle’s a real challenge… or, is it? White to play and checkmate in two. 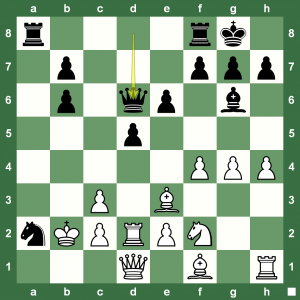 Hikaru Nakamura embarks on a losing plan with 29. 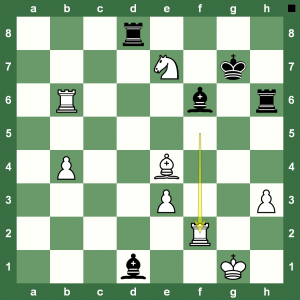 …Qc5 versus Pentala Harikrishna. After eight rounds at the 76th edition of the Tata Steel Chess Tournament, World No. 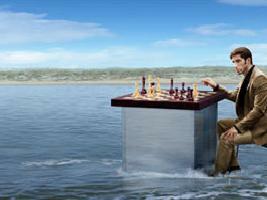 2 Levon Aronian keeps lead with a 1/2 point adrift of the others. 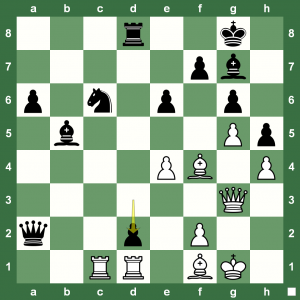 There was only one game that ended in a draw: Anish Giri – Levon Aronian. Here are all the games of Round 8. Read a full report on Chess Blog. 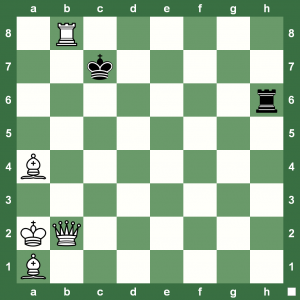 76th Tata Steel Chess 2014 Round 7: Levon Aronian consolidated his lead despite a draw with Boris Gelfand and the game of the day was Loek van Wely beating Hikaru Nakamura. The other decisive game was Richard Rapport beating Pentala Harikrishna. 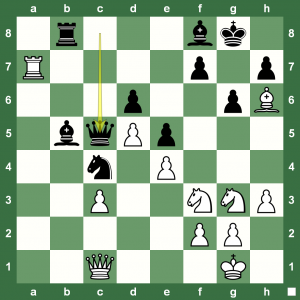 Read a full report on Chess Blog and replay all the games with Chess King. 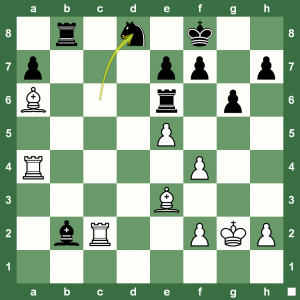 76th Tata Steel Chess R6: Levon Aronian Extends Lead with 3013 Performance! World No. 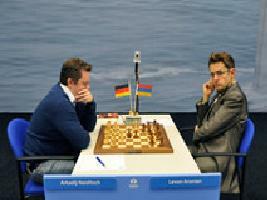 2 Levon Aronian is running away with the 76th edition of the Tata Steel Chess in Wijk aan Zee. He beat Wesley So in Round 6 and leads 5.0/6 and a 3013 performance. Giri, Dominguez, Van Wely, and Harikrishna all missed wins. Read a full report on Chess Blog. You can replay the games below with Chess King. Playing his usual steady and strong chess, World No. 2 retained his lead at the 76th edition of the Tata Steel Chess (Masters Group) in Round 5. A full report is available on Chess Blog. Meanwhile, replay the games of Round 5 with Chess King and enjoy some strong chess this weekend. The only sure way to stay warm this winter is to play chess. So, without bothering you much, here’s the easiest checkmate in six you are ever likely to find. White plays. The most exciting game of the week figured in the fourth round at the 76th Tata Steel Chess 2014 with World No. 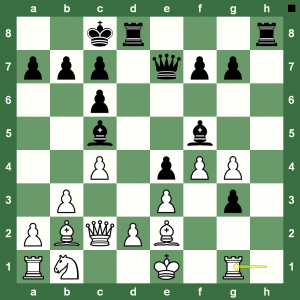 2 Levon Aronian defeating one of his main rivals, Hikaru Nakamura, in a sharp set-up of the King’s Indian Defense. Check out the game in the Chess King applet below. You can read a full report on the round at Chess Blog. 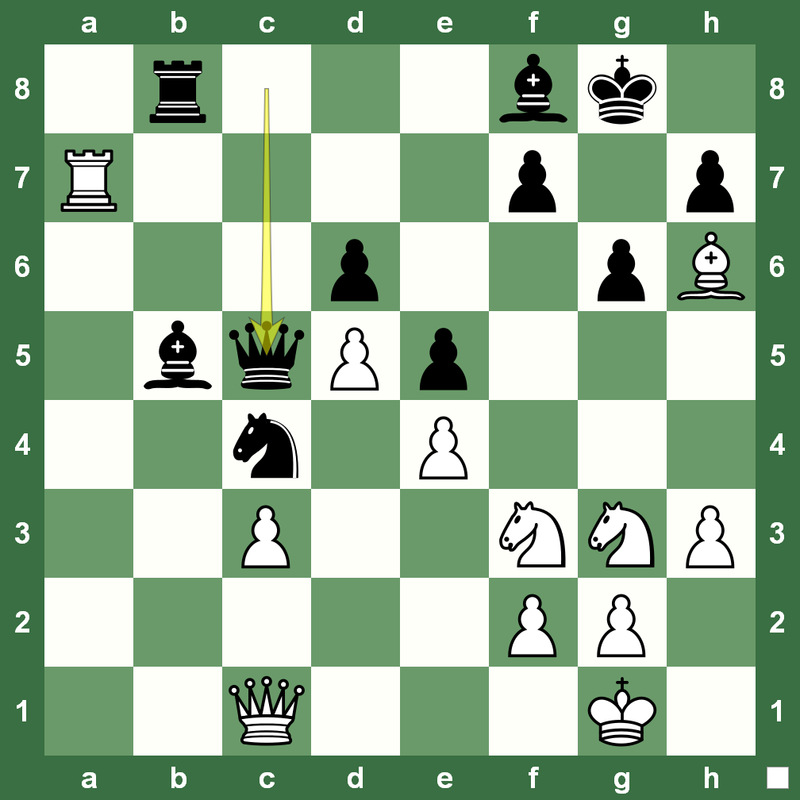 White has just played 14.Rg1 How does Boris Spassky win as Black? Here is a position from an immortal chess game: Bent Larsen vs Boris Spassky, Belgrade, 1970 USSR vs Rest of the World. White has just played 14.Rg1. 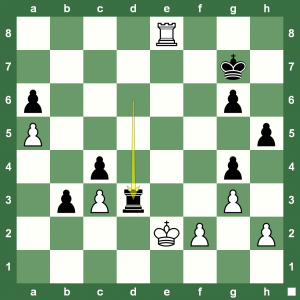 How do you think Spassky won this game? You can replay the game below with Chess King. You can use the game search feature in Chess King to find any game or position in the huge database Gigaking that has all the chess games since the beginning of time. Check it out in the Chess King shop. The third round at the 76th Tata Steel Chess Masters Group witnessed two decisive games allowing six players to be in joint lead. Aronian, So, Harikrishna, Caruana, Nakamura, and Giri lead with 2 points each. 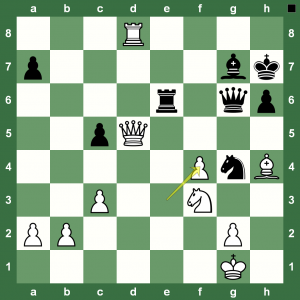 Read a Round 3 report on Chess Blog. Replay below the games of Round 3 with Chess King. 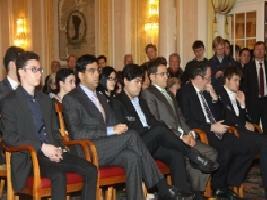 The second round of the 76th edition of Tata Steel Chess 2014 witnessed three wins by Rapport, Giri, and Aronian. Here are all the games of Round 2. You can read a full report on the round at Chess Blog. Boris Gelfand suffered his second loss in as many rounds and Giri checkmated his opponents King in the open at f4. Aronian played a steady game coming out with a plus after the opening. 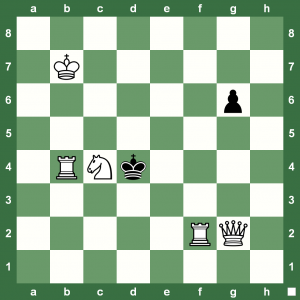 Get that hot mug of coffee and sit back to solve this chess puzzle. It’s a bit crazy and might take some time… or, then might not! 😉 White to play and checkmate in two. Yes, yes, it’s possible. Your computer might not be much help though.